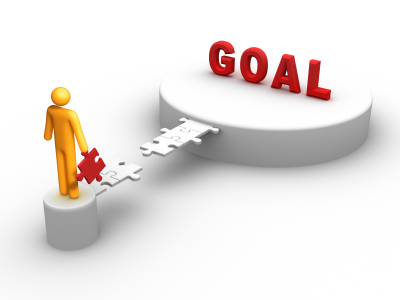 We’ll I’ve been hearing/reading about SMART (Specific, Measurable, Achievable, Realistic, Time-bound) goals for ever now. Inspite of the fact that they keep on drilling them in our minds and making sure we’re all abiding by those 5 words to draw our plans, projects and visions…I still don’t really feel completely convinced. When talking about what I want to achieve, when talking about what I’m planning to work on in my organizations..I don’t think I always have “SMART” goals in mind…infact rarely do I start with those “SMART” goals to rally people and inspire them …rarely do I recruit volunteers to assist by telling them “we’re going to improve X by 30% and remove 11% of the hurdles in the coming 4 months” …that really doesn’t excite me…doesn’t push me to explore new grounds…they’re good on paper…good for diagrams and figures…but they rarely inspire me…or others. Heartfelt: Whenever I have something that touches me…that instills some feelings in me…its then that I start thinking of starting something new…its then that I feel a bigger purpose driving me… whether its empowering youth, helping children, guarding the environment, or starting a new business initiative…its that noble cause..that idea that clings to my heart that makes me start dreaming. that the percentage of minorities living below the poverty line will be no higher than the percentage for any other racial group. I have a dream that one day on the red hills of Georgia, the sons of former slaves and the sons of former slave owners will be able to sit down together at the table of brotherhood. I have a dream that my four little children will one day live in a nation where they will not be judged by the color of their skin but by the content of their character. Required: How about all those “SMART” goals that if achieved, or not achieved, they might not really matter…life will not end at their door-steps. I don’t want my goals to just be a vision of a nicer future…I want them to be necessary…I want to show people that they are required and must be done…that those goals cover certain current or future needs and that by achieving them, life will really be better…tomorrow will be brighter. Difficult: Yes you read it right..I want them to be difficult…I want them to be challenging. I don’t want those “achievable and realistic” goals…Some say that very difficult goals are demotivating…I say everything is feasible and every problem has a solution. Anyway, how difficult is difficult? well not much…come to think about it …what resources will you need? what new skills will you have to learn? …Personally if I’m not learning new things all the time and if I’m not pushing myself and others to be better…do things they never thought they can do before…achieve the dreams that once were impossible…then my goals are not difficult enough! In the end, when talking about those HARD goals to whoever my audience/ team/ stakeholders/ beneficiaries are … I want them to drool over them…I want their hearts to throb for them…I want to see their eyes widen up…and to get their minds hard at work to figure out how and where to start…. personally, i like to think that im one of those people..those people that beieve that with simply the write motivations and group they can do anything that is everything..that’s why most of us are in NGOS and places related to making changes in the world..if we didnt believe that we could we wouldnt have bothered with our time, voice, and every nerve of our body!! Very nice post about HARD goals. Hi Afif, VERY interesting proposal on HARD goals, relevant not only for not-for-profit organizations but to all those who want to engage on a differentatited way with stakeholders both off & online! Nice post! I am also totally unconvinced by SMART goals. Anyone who has achieved anything really significant or magnificent has never had a SMART plan. In fact I think the insistence on SMART goals is what causes sales people to burn out so fast. There is no inspiration in SMART! The is no personal growth in SMART! There’s not even any fun in SMART! I like your concept of HARD goals a lot. 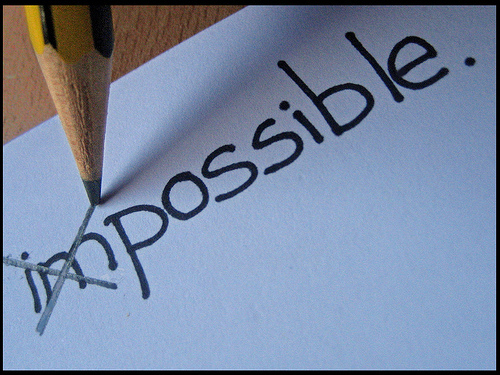 I use BIG goals with my clients – Big Impossible Goals – what would you dare to do if you knew you could not fail? Really nice thought, expressed in a convincing manner. For a while, I was in this dilemma about SMART goals being practical but not being able to drive radical change / dramatic change. I am now convinced that the HARD approach to goals, driving through emotion and appeal, is the approach for driving this kind of change – be it an individual, a small team or a large organization. I like your way of writing, it’s fluent and rich. I also like the Luther example, it’s a really gd one. in addition to that.. i definatly agree with the Hard Goals. I personnaly am only motivated by hard challenges and i easily get bored by easy ones. The write-up has confirmed useful to me. this area. You have got opened up my sight to be able to numerous thoughts about this particular topic using intriguing and strong content material. I do not even understand how I ended up right here, but I assumed this post was great. I don’t understand who you’re but certainly you’re going to a famous blogger for those who are not already. Cheers! Your article offers confirmed helpful to myself. It’s really helpful and you really are certainly extremely experienced of this type. about this specific matter together with interesting and strong content material. communicate extra about your post on AOL? I require a specialist in this area to unravel my problem. As an advice, I would recommend regular posting as a start, something like once a week if you can keep the pace, or atleast once a month. Moreover, consistency is essential in the topics you send, don’t diversify too much, focus on the themes you write about. After exploring a number of the articles on your website, I really like your way of blogging. I book-marked it to my bookmark site list and will be checking back soon. Please check out my web site as well and let me know what you think. I’m not sure the place you are getting your info, however good topic. I needs to spend some time studying much more or working out more. Thank you for wonderful information I used to be searching for this information for my mission. I know my audience would value your work. If you’re even remotely interested, feel free to shoot me an e-mail. I’m surely interested…let me know what topics interest you. This piece of writing posted at this web page is in fact fastidious. Juust wish to say you article is as astonishing. to seize your feed to keep up to dae with imminent post. Thanks one mollion and please continue the rewarding work.